The terms “carpet stains” and “carpet spots” are often used interchangeably. However, all carpet discolorations are not created equal. There are differences between carpet stains, carpet soiling, and carpet spots. Identifying the type of marking on your carpet is as important as knowing what caused the discoloration so that the right type of carpet cleaning treatment can be used to eliminate the blemish. What Is a Carpet Stain? 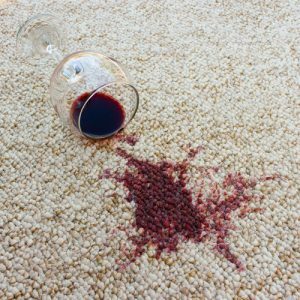 Stains occur when a glass of wine or a cup of coffee, for example, is spilled on the carpet. When liquids make contact with the carpet, they become embedded in the fibers. Some carpet types are more absorbent than others and therefore more prone to staining. Some carpets are not thoroughly pigmented and liquids attach to the undyed portions of the carpet fibers. Nylon carpets stain easily and often need to be protected with a stain treatment. Polyester carpets do not absorb as quickly, offering you more time to clean up a spill before a stain sets in. The speed with which a spill is cleaned up is the most important ingredient in preventing carpet stains. Unfortunately, there are some occasions when a stain will occur and you won’t discover it until much later. A party in your home or office could lead to spilled drinks, or your daughter’s sleepover might result in soda spills that are not immediately reported. Carpet soiling can look just like a carpet stain, but this type of marking is not always caused by a spill. Oil substances or residue that lingers on carpet fibers attracts dirt particles, resulting in a soiled area. While baby oil or, say, a dropped slice of pizza could lead to soiling, quite often it’s bare feet that are the biggest culprit. 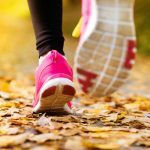 While you should avoid wearing shoes on your carpeting, going completely barefoot means the oils in your skin are transferred to the carpet, especially in high-traffic areas. This leaves many areas that are susceptible to attracting dirt. Olefin carpets are quite easily soiled. Just as with stains, it’s important clean up spills as quickly as possible. 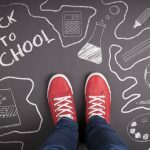 Ironically, cleaning products that are used to clean up stains on your carpet can leave soiling behind if the solutions are not removed completely. To avoid further soiling, make a habit of wearing socks or slippers while walking on your carpet. What Is a Carpet Spot? Carpet spots often appear in the offending area after you have cleaned up a carpet stain. This doesn’t necessarily happen immediately, but you may notice after a few days or weeks that the color of your carpet is not uniform. 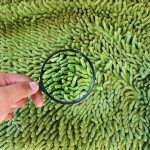 In most cases, this means that the spill has soaked into the back of the carpet or the padding underneath and then the coloring has worked its way back up to the top fibers of the carpet – this is known as wicking. 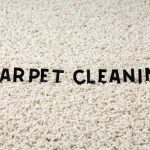 When a carpet spot reappears in an area where the carpet was soiled, this usually indicates that whatever oily substance you tried to clean up was not completely removed and is once again trapping dirt particles. Sometimes repeating a DIY cleaning several times can completely remove the spot. More often than not, you will need a professional carpet cleaning to thoroughly clean your carpeting and to treat the stains and soiled areas. If you have ongoing stains, soiling, or spots on your carpet, contact Nu-Way Carpet Cleaning in Macomb, Michigan. We can clean, treat, and help preserve the life of your carpet. We specialize in carpet cleaning in Sterling Heights MI.